Ideal for sporting events, family reunions, sport camps or after the big game, this bounce house will keep players entertained for hours on end. The bounce house is the perfect way to combine fun and healthy activity. This jumper has 360-degree mesh windows, so parents and spectators can have a clear view of all the fun. Our moonwalks are made safe and secure with lite n strong , fire-resistant vinyl making it safer, portable and more durable. 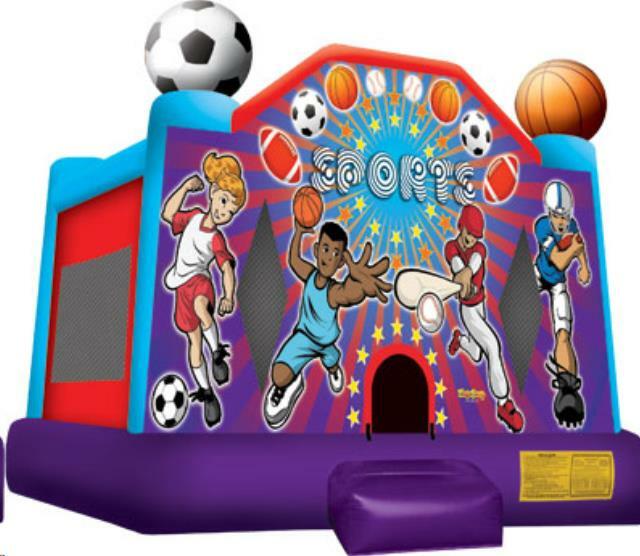 * Please call us for any questions on our sports usa 15 foot x 15 foot bouncer rentals in Rocky Mount and Wilson NC.